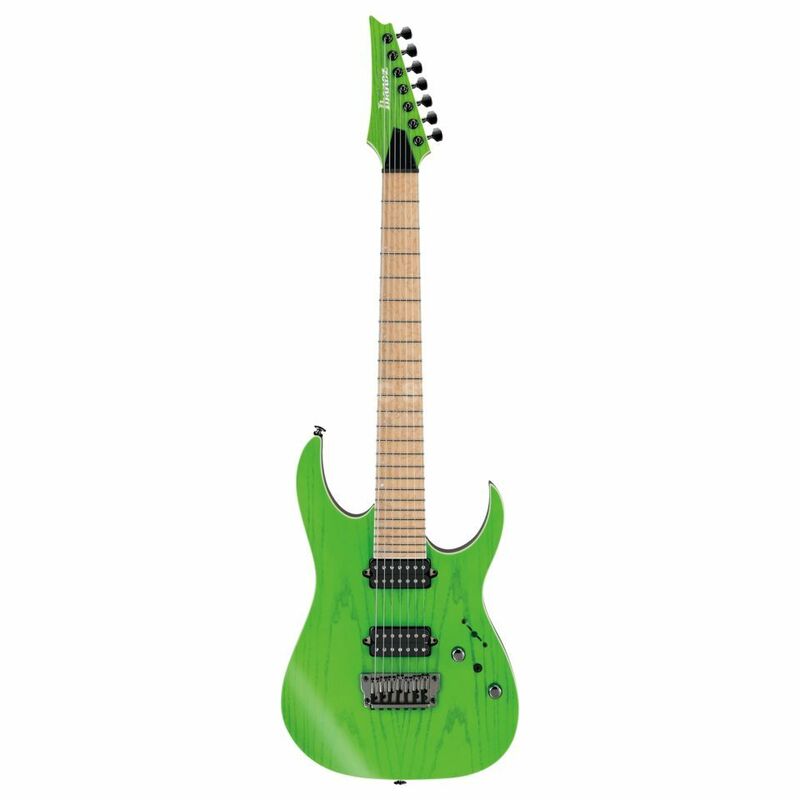 The Ibanez Prestige RGR5227MFX-TFG Transparent Fluorescent Green not only convinces with its extroverted finish including reversed headstock, but also with its first-class playing characteristics and hot metal sounds. Based on the sleek RG design, the 7-string electric guitar has a mahogany body with a chic ash top, the grain of which is accentuated by the transparent green finish. The neck is also made of five pieces of maple and wenge, while the "Wizard-7" profile guarantees optimum playing characteristics over the entire bird's-eye maple fingerboard. With two Bare Knuckle Brute Force pickups, the Ibanez RG5220M also delivers powerful metal sounds with high assertiveness. Last but not least, the Ibanez Prestige RGR5227MFX is equipped with the Ibanez Gibraltar Standard II-7 bridge and Gotoh MG-T clamping mechanisms. The Ibanez Prestige RGR5227MFX-TFG Transparent Fluorescent Green delivers first-class sounds for modern metal with two Bare Knuckle Brute Force pickups.